Add an engaging and energizing element to your group's visit with a 30-minute, interactive educational program. Our Curator of Education will deliver an up close and personal look at the Kentucky Derby. 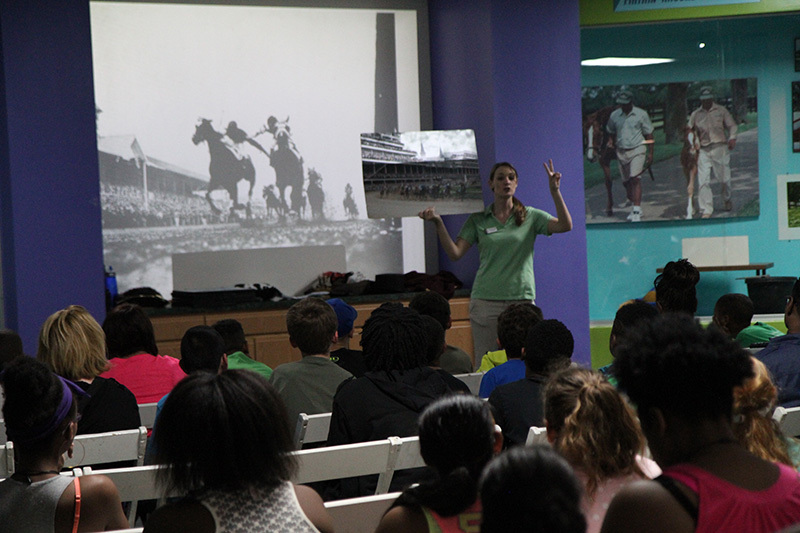 Guests of any ages will experience a dynamic, unique perspective on Kentucky Derby history, traditions, economics and science. Kentucky Derby 101 covers it all from starting gate to finish line! Experience adds approximately 30 minutes to your group visit.